Keep Britain Tidy teamed up with Linda Thomas Eco-Design on the #WaveOfWaste dress. Ocean plastic pollution is one of the biggest global environmental threats of our age. 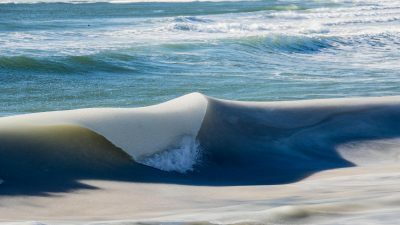 This man-made material already makes up about 40% of the world’s ocean surfaces, and industrial sources aren’t just the problem. 13.7% of all waste produced in the UK is from households, and worryingly some of this never even enters a bin. Something that’s all too obvious on UK’s beaches. To draw attention to this, UK charity Keep Britain Tidy took to Cornwall and Devon to collect waste left strewn across the sands. They specifically targeted cheap polystyrene bodyboards, to highlight the amount of waste they generate. From only three beaches 560 boards were collected by the charity’s BeachCare programme, boards that were stuffed in bins, dumped in sand dunes or left on the beach. The impact more plastic entering our marine environment is devastating for wildlife and we also estimate that more than 14,000 of these boards are heading to landfill each summer season, costing tax payers money. To highlight the brevity of the issue, the charity teamed up with Linda Thomas Eco-Design to create a piece of art from the waste. 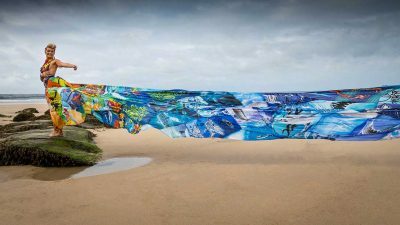 Taking took two months to make, the #WaveOfWaste dress with a 22-metre train was created using fabric from 100 snapped boards. I was shocked by the image from 2016 showing a huge wall of waste boards and the enormity of this problem. As a family, we love visiting Cornwall and the sea and know how important clean seas are for both wildlife and all the people that enjoy the coast. I wanted to create something eye-catching to highlight the problem. I understand the issue, as I bought one of these “snappers” for my son years ago not realising what they are like, it was so rubbish for catching waves and didn’t last the season. After its premiere at the Watergate Bay Hotel, modelled by former pro surfer and Newquay resident Emma Adams, the #WaveOfWaste dress will embark on a tour around the country to raise awareness of the issue. 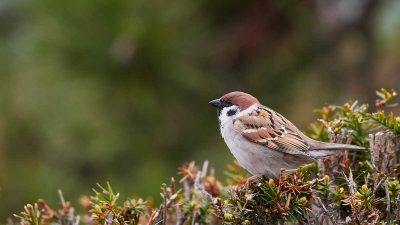 Could Brexit help UK wildlife by uniting farmers and conservationists? A new Agriculture Bill details that UK farmers and land managers will be paid for ‘public goods’ after Brexit. 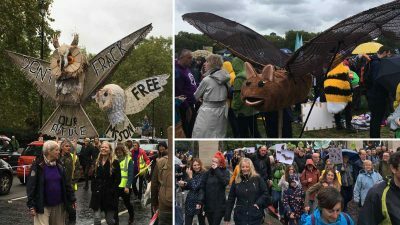 The walk was accompanied by the delivery of a radical manifesto, co-edited by TV presenter Chris Packham, to Downing Street. 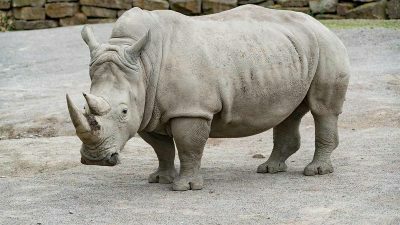 Should we approach wildlife conservation differently following the death of the last male northern white rhino? Why has it taken until the effective extinction of this ancient lineage of giants for people to care? 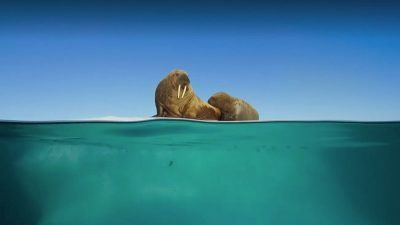 Blue Planet II — A spectacularly useless documentary? 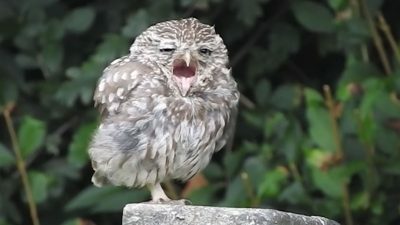 "As awe-inspiring as this documentary is, it does little to aid in the conservation of real nature," argues Nicholas Harvey. 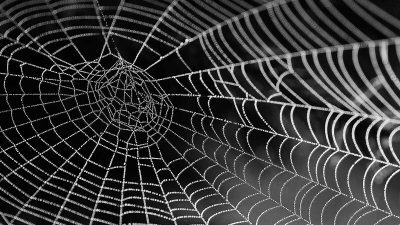 You may think spiders are creepy, but you'll see them differently after this. 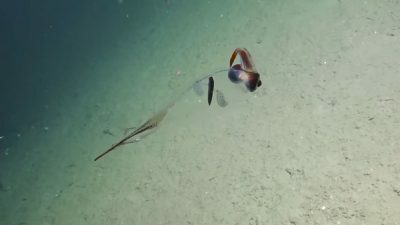 You've probably never seen a squid quite like the cockatoo squid. 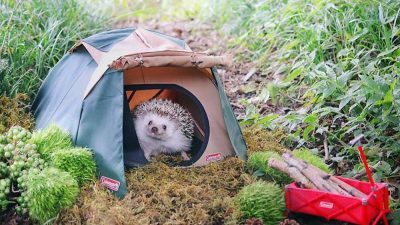 Looks like this hedgehog's packed all the necessities and more. 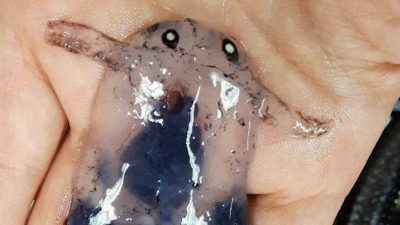 The picture of the little creature has everyone guessing. But who's right? It's prompting anyone who views it to do the same. 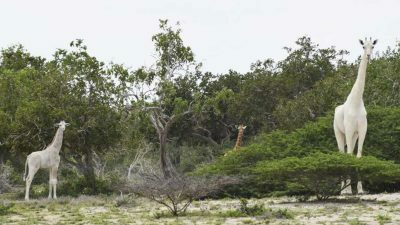 A pair of giraffes with leucism, a condition that inhibits pigmentation in skin cells, have been filmed by conservationists for the first time.